Improve your Math skills in entertaining and challenging way with Crush & Count! Crush & Count is a new educational game that combines 2 game genres - block collapsing puzzle game and educational Math game! Crush & Count will train your Math skills (addition and multiplication) in an original and mainly enjoyable way! The game is as all the other games of ours 100% free, does not contain any In-App purchases and is suitable for all ages! There will be shown a board of symbols, tap on a group of three or more same types of symbols that lie next to each other horizontally or diagonally to remove them! Once they are removed there will be shown a mathematical formula and numbers that you can use for solving the formula! Tap on 2 numbers that solve the formula above the board! Continue like this in order to achieve the best score possible! Watch out there is 3 minutes time limit! Submit your score at the end of the game to a global leaderboard to see who is the best Mathematician! - Bigger group you remove better score you get! - For each solved formula you get +25 points! 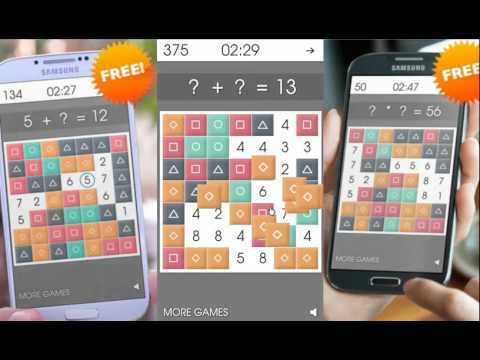 - Original puzzle and Math game for all ages! - Improve your Math skills and counting numbers in an entertaining and challenging way! - Global leaderboards included - compare your score with other people all around the world! - Learning has never been such a fun! - You will never fail in addition and multiplication again! Have a nice time playing Crush & Count and if you like the game and want to support it so please leave a review and rate the game. Thank you for your support. If you find any bug or if you have any ideas how to improve the game, please let us know at littlebigplay@gmail.com, we will be very happy to fix it!